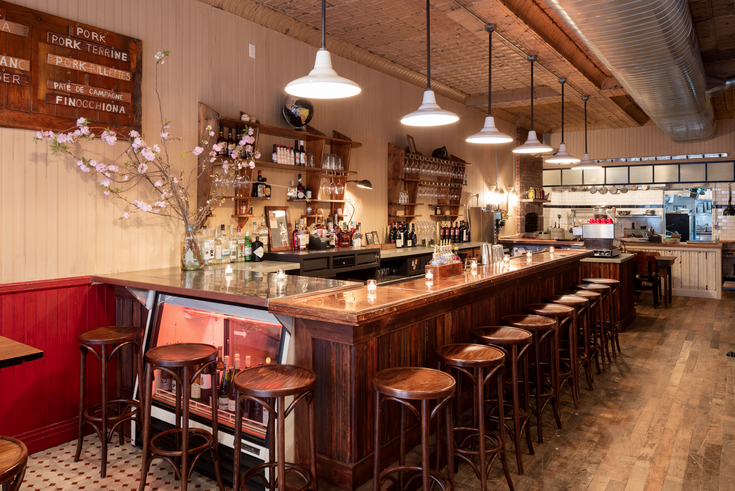 Vincent Mazeau recently traded his successful career as an artist and set designer of 15 years to start a new life, owning and operating his own restaurant, Cherry Point, in Greenpoint, with his partners, Chef Julian Colcott and Garrett Smith. Vincent is a graduate of Sculpture from Yale who progressed in to the world of set design with his company, Big Room. During Vincent’s fifteen years in the industry he collaborated with brands such as Calvin Klein, Yves St. Laurent, Alexander McQueen and Dolce & Gobbana. As an artist, Vincent’s work has been shown in galleries and museums all around the world as well as some of the worlds most-acclaimed publications. Vincent left the industry to enroll at the French Culinary Institute, after graduation he did a stage at Michelin-starred Corton where he met Cherry Point’s chef Julian Colcott. In this episode we will be discussing why Vincent left a successful career behind him to re-establish himself in the notoriously fickle New York restaurant scene, along with the trials and tribulations of opening a restaurant. I’m also curious to understand how a “Brooklyn restaurant’ is created in his eyes, along with the global trend to seek inspiration from Brooklyn’s bar and restaurant scene – some say Brooklyn is the new Paris. art school Brooklyn Chefs Cherry Point culinary school food entrepreneurs French culinary institute hospitality industry Julian Colcott Patrick McAndrew restaurant scene restauranteurs Restaurants set design Vincent Mazeau Why Food?